An elite cut of diamond like the Asscher cut deserves to be flaunted. 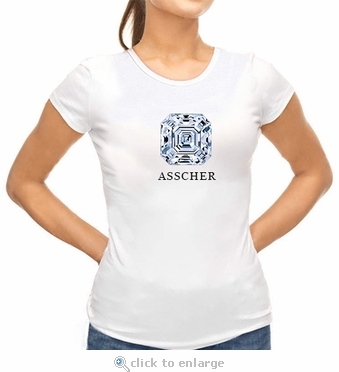 Flaunt your love for this gorgeous cut by wearing the Asscher Cut Diamond Shape T-Shirt from Ziamond. A specially faceted stone with classic lines and an understated elegance is a brief way to describe this beautiful cut of stone. 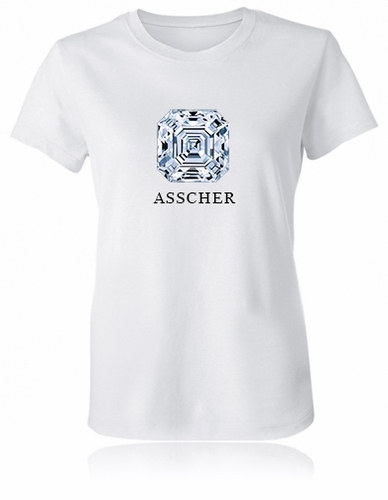 If you own an Asscher Cut diamond or would love to have one, then this Asscher cut diamond shape t-shirt is just another way to show your love for this shape. 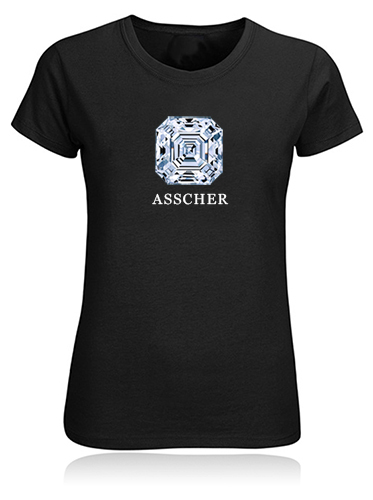 People who prefer the Asscher Cut diamond are known to have the following characteristics; investors, lovers of the finer things, lady like, honest, elegant and sophisticated. These t-shirts make for an awesome gift for a friend or loved one. 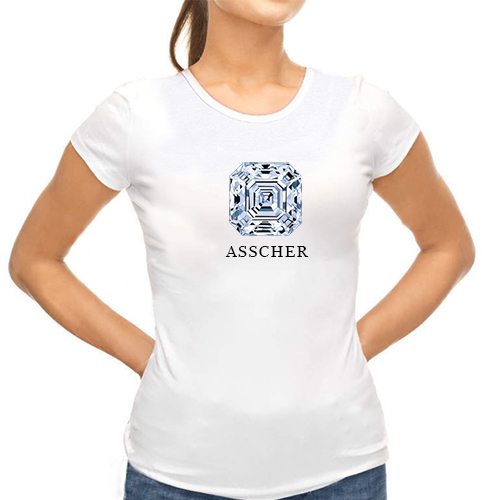 Each Asscher Cut diamond image is a high resolution picture printed with the most up to date apparel printing methods on super soft 100% cotton fitted ladies shirts. These t-shirts come in sizes small, medium, large, extra large and extra extra large. Available in white or black color shirts, but if you are looking for a custom color not shown, let us know and we look into it for you.